It is time to start thinking about your pet's teeth. Keep your pet healthy and happy by taking care of their teeth. Are your pet's teeth not white? There could be more going no with your pet's teeth then just that. 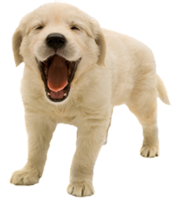 Ask your Veterinarian how you can care for your pets teeth and keep them happy and healthy. Check out these products at our online store to keep your pet's teeth healthy.